I am new to this community, so apologies in advance for some ignorance. I know there are forums, chat channels, ect, so I also apologize if this is the wrong medium for such questions. Basically, I want join the community by building my own Drupal Theme and eventually upload it to Drupal.org for other users to download and use if they wish. I went to my dashboard on Drupal.org where there are tabs for "Your Projects" and "Your Commits" and such, but commits is just a blank page, and projects is empty but with a message "To learn about projects, see Contributing code on Drupal.org.". Clicking this hyperlink goes to this page: https://www.drupal.org/contribute-projects . So what does that PayWithPaytm plugin have to do with anything? Do users need to pay Drupal to create a project or something? Why does the "learn about contributing" link go to an e-commerce plugin? Below is a screenshot of my dashboard and the link to PayWithPaytm. 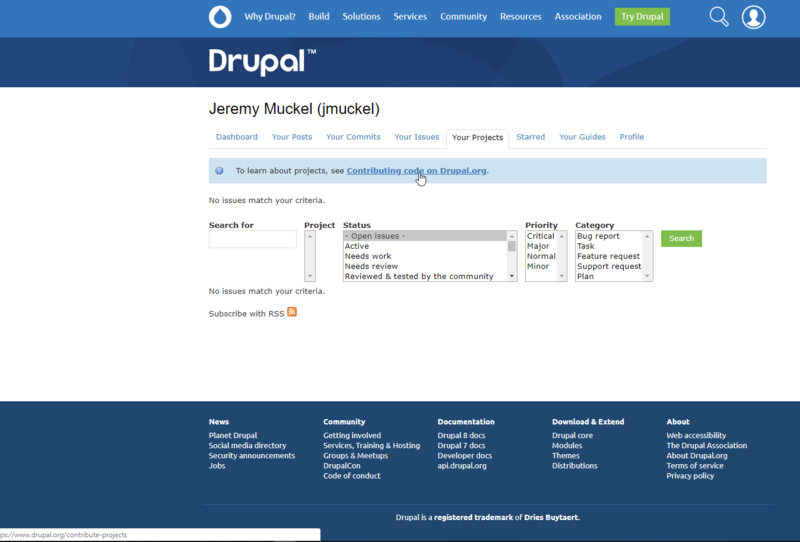 The Drupal community pages are basically a Wiki done in Drupal. As such, anyone can get authorized to make changes. However, like a Wiki, people can add spam like this. This page was spammed today. I've reverted the page back to the last revision so it should now be helpful. What are the various steps to contribute my own module to Drupal.org? Why is the drupal.org site not using the more recent Drupal version? what does Drupal API mean? What is the procedure for deleting a project in drupal.org? Why doesn't drupal.org/download give a link to the Drupal 7 version?